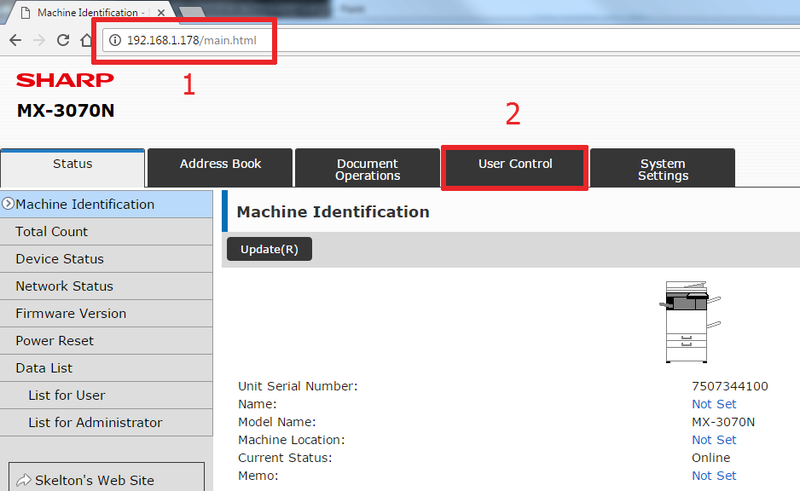 Open the web interface of the Sharp by entering the IP address into your web browser’s IP address bar. If you don’t know your IP address you can print is using these instructions. 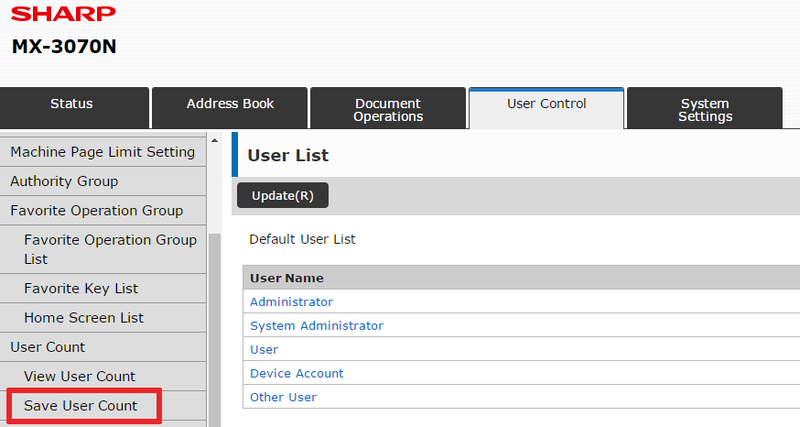 Once you have the Sharp GUI open, click User Control at the top of the page. In the User Control menu, click Default settings on the left. 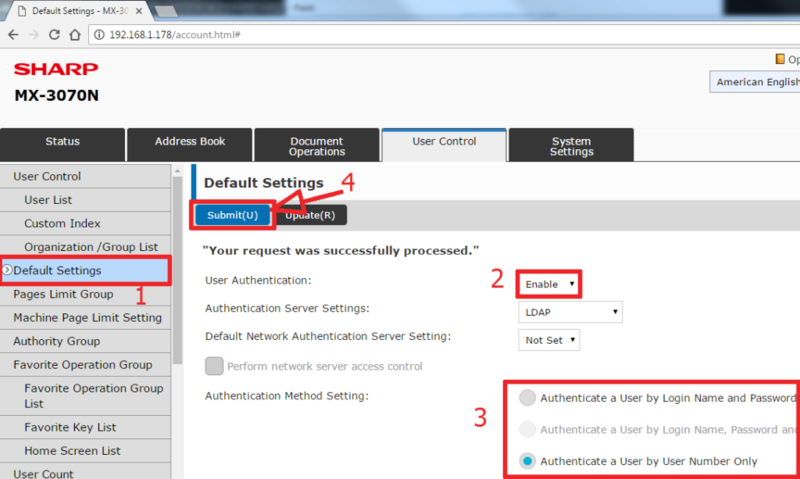 Enable User Authentication, and choose the type of authentication you want to use then click Submit. 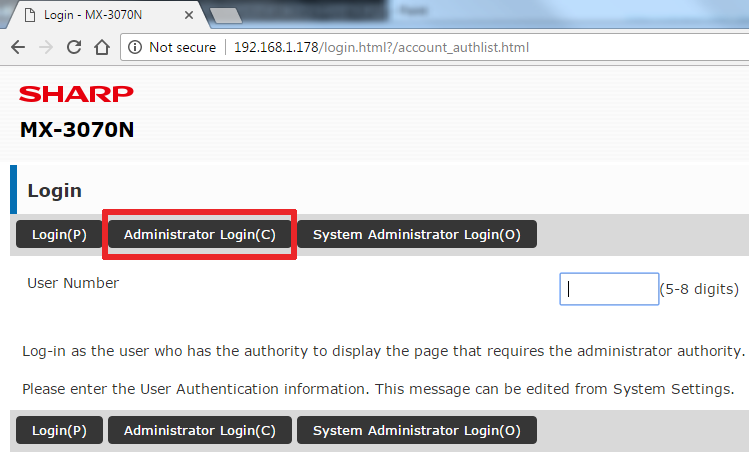 For the sake of this example, I chose the “Authenticate a User by User Number Only” option, but you can use Active Directory, LDAP, or even use HID cards/badges to login. 5. 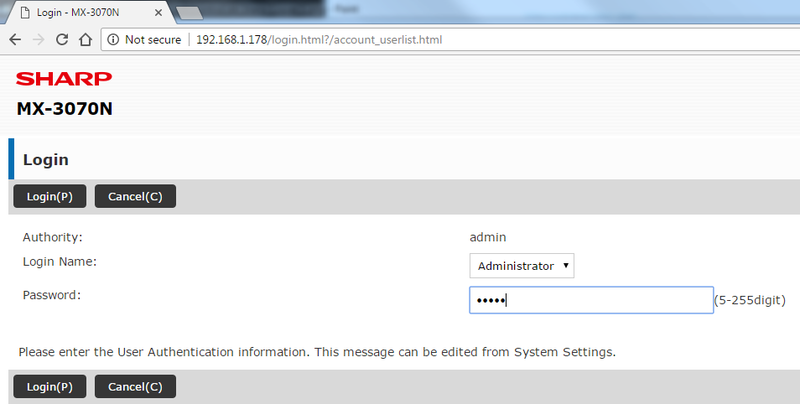 Since we enabled User Control, we now have to login again, click the Administrator Login option. 8. 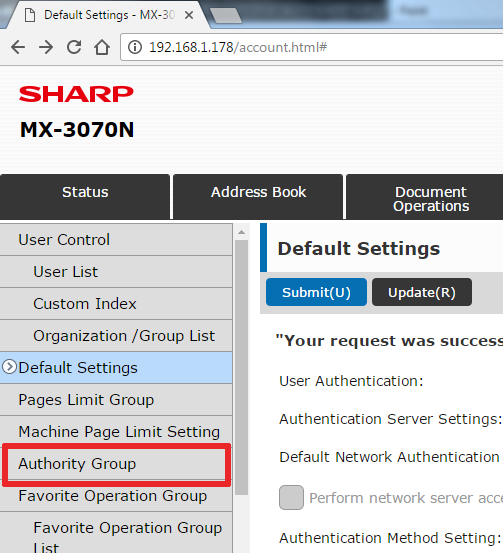 Name your Authority Group and scroll down the page to allow or prohibit whatever features you want this group of users to have access to, then click Submit. 9. Click User List on the left menu, then scroll down and click Add. 11. 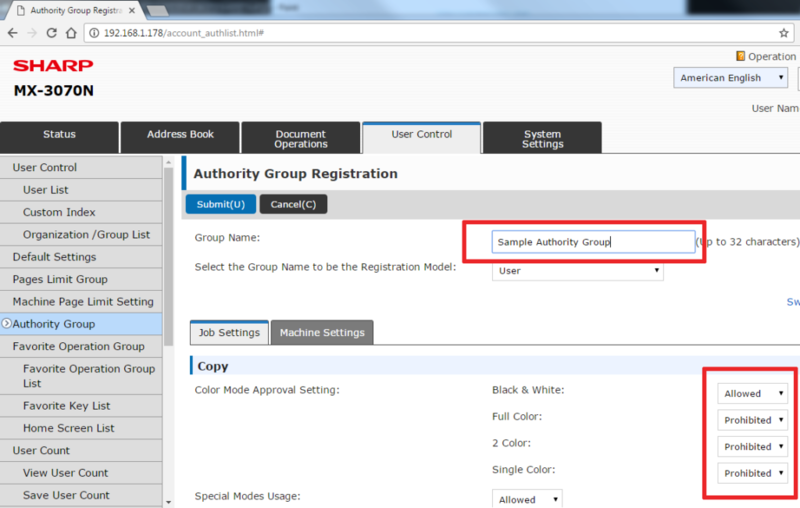 Scroll down to Authority Group, and choose the Authority Group you want this user to have access to, when finished click Submit. *Note: leave the web interface open for now, there’s more to learn below. 12. Open your Devices and Printers menu, right click on the Sharp and choose Printing Preferences. 13. 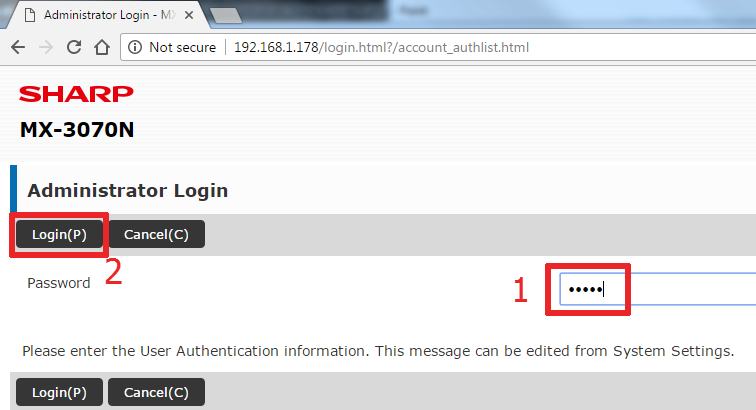 Click the Job Handling tab, then put the Authentication drop-down menu on the type of Authentication you chose, then enter the User Number or Username/Password into the appropriate box. 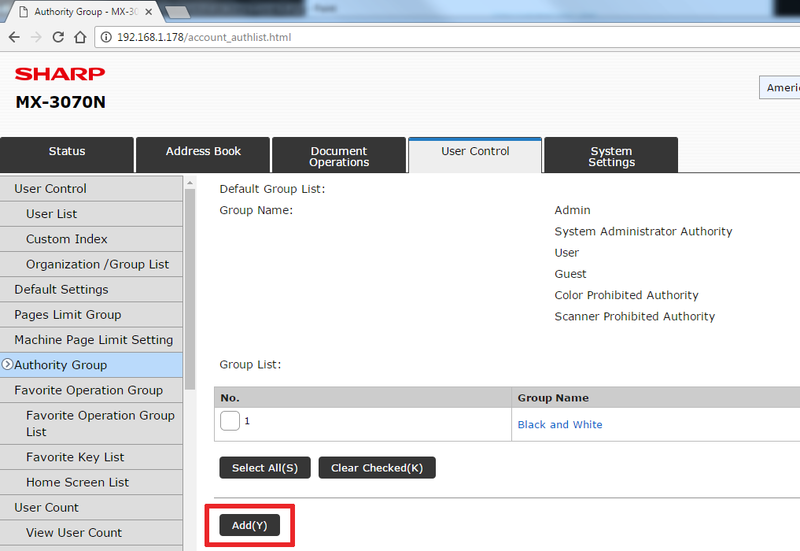 *Note: If you plan on printing using various codes, and will not use the same code every time, check the “Auto Job Control Review” box. 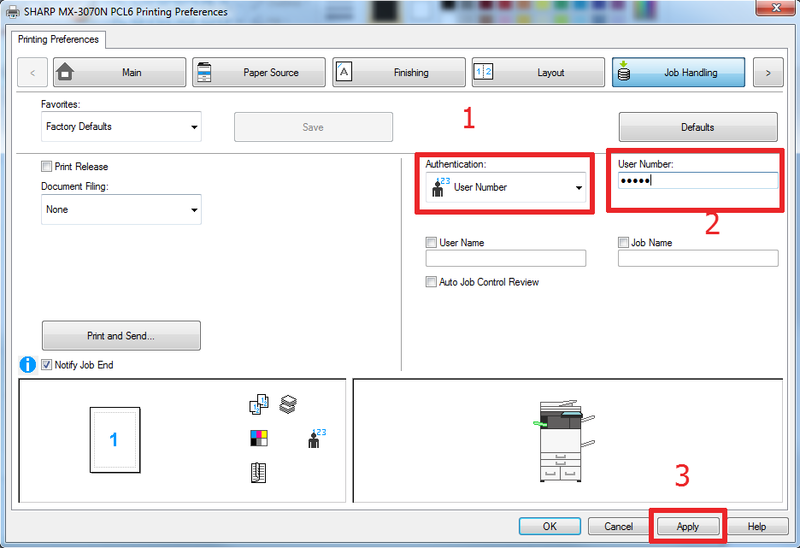 This will tell the print driver to prompt the user for a code before each print job is sent to the printer. I want to view AND RESET the amount of copies and prints each user has made – Check the Save and Delete the Data box, then click Save. This will export an Excel file where you can view detailed counts on copies, prints, scans, faxes, and more data for each user. 16. There is a lot of information on the Excel spreadsheet, but for billing purposes you’re likely only concerned with B&W copies, Color Copies, B&W Prints, and Color Prints. I’ve highlighted those columns in the pictures below. 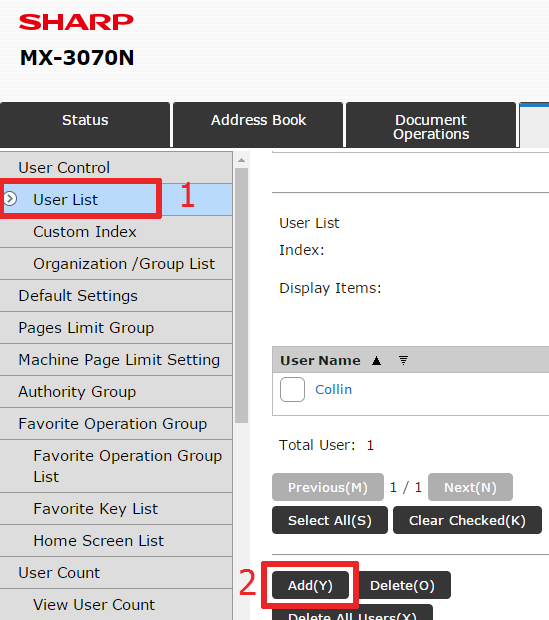 Columns B, E, N, Q.
Hopefully these instructions get you started on the basics of managing User Control on your Sharp copier. You can delve down as deep as you’d like into customizing the features, but the information above should get you started. Click directly on the name, it’s a blue link. That will open the properties where you can edit the user name.